Why is there such a strong link between heart surgery and depression? It is frightening to watch someone you love going through heart surgery. It is devastating to see them fall into depression afterwards. Coronary surgery is known to result in depression, with estimates of between one third to three quarters of those recovering experiencing some degree of depression. When we see the shifts in the energy of the Heart Chakra that surgery leaves open, we can also see the pathway out of this depression. 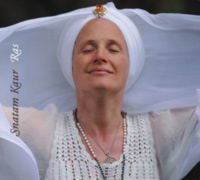 Our physical bodies are interlaced into our energy bodies (auras), and the two interact beautifully together. Science is beginning to observe the ways in which changes in our physical bodies create a corresponding effect on our energy bodies (auras), and likewise, shifts within our auras create dramatic changes within our physical bodies. Our physical bodies are so beautifully constructed – an intricate lacework of trillions of cells, organs, bones and nerves. Likewise our energy body has its own intricacy of rippling wavelengths of biomagnetic potential that modern science is only beginning to be able to measure. For eons, intuitives and yogis have described an egg shaped coherence of energy with vortexes of increasing frequency – the Chakras – extending from the base of the spine to the top of the spine, corresponding along the spine to the top of the head and into the aura. The balance and free flowing energy of these Chakras is essential in living a happy and healthy life. The heart Chakra resonates with the frequencies of love, compassion, forgiveness, acceptance and peace. When our heart Chakra is weak we can feel sensations of despair, separation, fear, lack of love and desperation. When our heart Chakra is balanced, we have the ability to both express love and receive love. We can show compassion and feel empathy. We feel the love from others as real and supportive to our own soul. When our heart Chakra is out of balance, however, we can feel a void and deep hole of sadness in our chest area. We can feel out of control of our emotions. These are exactly the same sensations that medical science has observed in many heart patients following surgery. The physical heart sends and receives nerve impulses to the brain, and has such a massive number of neuronal cells within the pericardium that there seems to be what for all effective purposes is a heart brain working in harmony with our head brain and entire nervous system. The vagas nerve connects the head with the heart, controlling heart functions such as heart rate and blood pressure, but also bringing messages about the function of the heart back to the brain. From energetic perspective it seems that when we cut into the physical area of the heart, we are making a corresponding cut into the energy of the heart Chakra as well.. The vagas nerve is often disturbed in the process of heart surgery. When we disturb or sever the vagas nerve a huge cascade of physiological responses is created in our physical body, such as changes inability to control the pulse rate and blood pressure. In our energy body and corresponding effect occurs, we feel suddenly out of control of our emotions, and we see that this affects the energy of the heart Chakra. And exactly the same characteristics such as despair and lack of feeling loved are the results. Is it possible that the heart surgery Robin Williams underwent a few years ago contributed to his overwhelming sadness and suicide? It is so sad to me how someone who created such joy and laughter for so many of us was battling inner depression to the extent of taking his own life. Clinical depression is a severe illness that needs attention, yet loved ones often do not know the extent of another person’s devastation. When someone has the gift of making others laugh to the incredible extent that Robin Williams had, they often have a gift for keeping their own sadness hidden as well. Yet, how is depression even linked to successful heart surgery? We often assume that a happy and successful individual would be thrilled at a second chance for living after a diagnoses and a promising surgery. But heart surgery is known to be correlated with a high risk of depression. Personally, I believe the most effective pathway to getting out of post surgical depression is in combining western medicine with energy healing and Chakra balancing. The power of Western medicine is often a Godsend. Especially when trauma is caused by an invasive technique such as open heart surgery. Western approaches such as antidepressants can bring a patient over a threshold and into the light again. My own father had emergency heart surgery when he was sixty. Shortly after his recovery he fell into a deep depression. It was incredibly difficult for me to see such a previously positive and cheerful human being suddenly carrying a deep sadness that seemed insurmountable. I began researching the energetic connection between having one’s heart center physically split by surgery and deep feelings of despair. Happily, with a combination of energy re-balancing combined with Western medication, my father returned to a place of experiencing his natural state of joy. 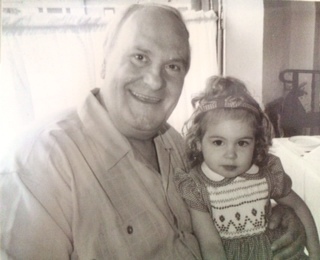 In the photograph here, my father is holding my daughter, Gabriella, exactly one year after he began to improve from depression. Each human is uniquely and beautifully created. Some have an easy balance of neurotransmitters dancing in their brains, while others, even those who practice yoga and meditation, will still struggle to find steady equilibrium, and often find themselves delving into depression. When a person has severe depression and there is an imbalance of serotonin, they are in need of support. Chakra balancing often is not as effective if there is a more serious underlying medical condition. I am grateful to the advances in Western medical science that have allowed for so many to benefit. The risk is that the medical benefits seem so powerful that one feels nothing else is needed. It is quite the contrary. I have found that adding yogic energy work can create an essential balance that harmonizes the effect of Western medical practice. From my personal yogic and loving perspective, integrating the best Eastern and Western therapies can be truly life changing. Robin Williams will be remembered as a beautiful soul, with a smile and a laugh, in our hearts we will wish he felt that happiness as well. My prayer is that his passing helps bring light to so many who are struggling with depression. May this tragedy open a door to uncovering the mysterious connection between heart surgery and depression. I am sending so much love to him, in the realm of the divine, and to his family and loved ones, and every one of us who was blessed to laugh and enjoy our lives more because of his artistry.